We are approved to offer continuing education by the Utah Division of Occupational & Professional Licensing. Our Utah 12 hour plumbers CE course is exactly what you need to renew. All of our courses can be completed At Your Pace Online to help you meet the state's requirements to maintain your license. 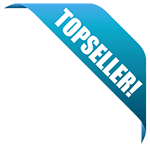 Once you finish your course we will report the completion to the Utah DOPL. Rush reporting is available upon request, and whether regular or expedited, reporting is always free. Licensed Utah plumbers are required to have 12 total hours of continuing education. Licensed plumbers are apprentice plumbers, journeyman plumbers, master plumbers, residential journeyman plumbers, and residential master plumbers. All licensed plumbers must complete their continuing education by November 30, 2018. 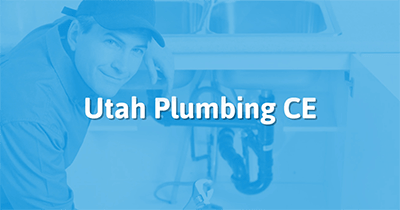 This 12 hour course is specifically designed for plumbers in the state of Utah. The course covers the significant changes to the 2015 IPC and reviews the Utah amendments to the model code. We then address two different topics for the elective portion of the course. The first topic is safety in the field of plumbing. Most regulations deal with new construction and fail to mention the dangers that a plumber just considers "his office". The course then ends with a discussion of the newest trends, techniques, and regulations regarding one of the oldest forms of plumbing, Rainwater Harvesting. Be up-to-date on the plumbing code as it's applied in Utah. This is a Core topic. Have a clearer understanding of the additional regulations that govern plumbing in the state. Be familiar with the best ways to find the relevant codes, regulations, and resources provided by the DOPL, DEQ, and other agencies. This class provides a brisk and often entertaining survey of the most often cited violations and thorny plumbing areas such as cleanouts, pipe grading, corrosion, handicapped access, and customer abuse of the plumbing system. Along with a discussion of how these problems arise, the class offers tried-and-true strategies for addressing these common problem areas. Instead of a broad survey, this class dives deep into a single topic central to the plumbing trades, including discussions of underlying principles and of best practices. It offers a comprehensive course of study on two related areas, both of which are experiencing rapid changes POWTS (Private Onsite Water Treatment Systems) and systems that reuse graywater. Instead of a broad survey, this class dives deep into a single topic central to the plumbing trades, including discussions of underlying principles and of best practices. It offers a comprehensive course of study on two related areas, both of which are can cause ample problems if not properly installed and maintained sanitary drainage piping and grease interceptors. Instead of a broad survey, this class dives deep into a single topic central to the plumbing trades, including discussions of underlying principles and of best practices. It offers a comprehensive course of study on all aspects of residential water heaters.